Home »About »Why Did You Kill My Dad? Early one Sunday morning in 2007, 75 year old Philip Hendy was fatally stabbed by a psychotic man with a long history of mental health problems. Normally such cases just get a few lines in the local press. But Philip Hendy’s son, Julian, is an award winning filmmaker who has been making acclaimed documentaries for more than 20 years. This highly personal film documents Julian’s journey to find out what happened to his Dad and his attempt to uncover the true scale and cost of killings by the mentally ill in Britain today. 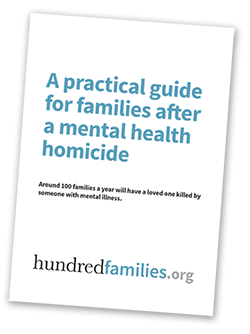 By talking to other similarly affected families it puts a human face to the statistics and reveals serious problems and repeated failures at the heart of Britain’s mental health system.